Toyota is going big on fuel cells. Its latest effort expands on the Mirai sedan by converting semitrucks to hydrogen fuel-cell power. 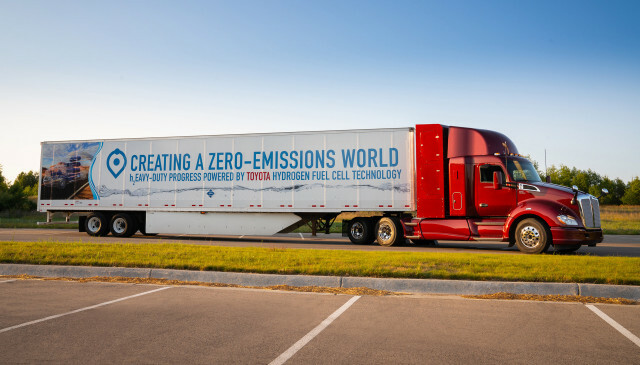 The company has been testing a fuel-cell powered semi for more than a year at the Port of Long Beach, California, ferrying goods from the Toyota Logistics facility to distribution points headed for factories and other facilities throughout the U.S. The first truck covered 10,000 miles of zero-emissions driving throughout L.A. in a proof-of-concept operation in Toyota's Project Portal. Now the company has created a second truck that it says will be more commercially viable. The first truck, "Project Alpha," had a range of 200 miles. Giant hydrogen tanks stood where a sleeper cab would normally go. 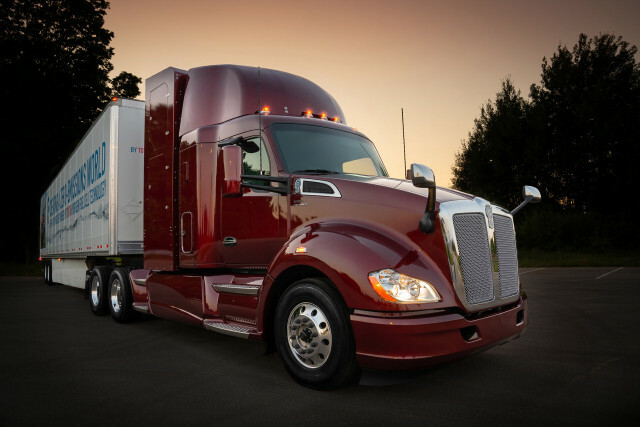 The new model, "Project Beta," has a range of 300 miles and leaves room for a small sleeper behind the cab without increasing the truck's wheelbase, Toyota says. Both trucks parallel two fuel-cell stacks from the Toyota Mirai fuel-cell car, to produce 670 horsepower and 1,325 foot-pounds of torque. They use a 12-kwh battery to buffer power. The projects are part of Toyota's commitment to eliminate CO2 emissions from its logistics facility in the Port of Long Beach. The company is building a combined power facility to produce hydrogen, water, and a megawatt of electricity at the port from agricultural wastes. California is expanding efforts to replace those trucks with zero-emissions battery-electric and fuel-cell replacements.